"Action T4 was a euthanasia programme of the Nazi Germans with which they 'granted' mental patients and others the 'death of charity'"1. 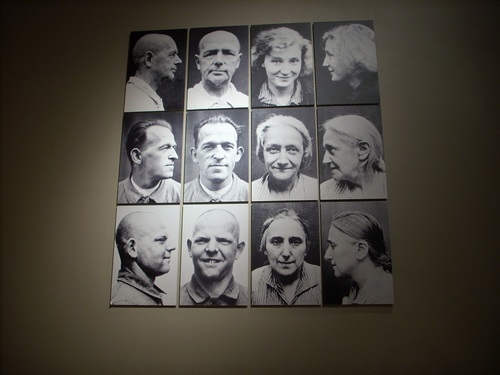 This set of 12 photos of 6 victims of that programme is displayed in Museum Dr. Guislain, in Ghent. Photo by ti.supmacinu|ihgrob.l#ihgroB acuL (August 2009), courtesy of Museum Dr. Guislain. 1. Retrieved from the Museum's explanatory tag.